The Walt Disney World and Universal Orlando hotels may be fun and magical places to stay, but there are so many other equally exciting accommodations in Orlando that your students will love. You want your students to have an entertaining and enjoyable experience throughout their entire trip, not just while they are at the fun attractions you picked for them to visit, which is why we created a lineup of hotels that have more than just a comfy bed to offer. Our top choices include opportunities to rock climb, slide down exhilarating water slides, team building activities, outdoor movie nights and more in addition to being in a convenient location not far from some of the key Orlando attractions. But with so many fun things to do at these hotels, you might not even want to leave. The fun doesn’t have to stop when you leave the theme parks. 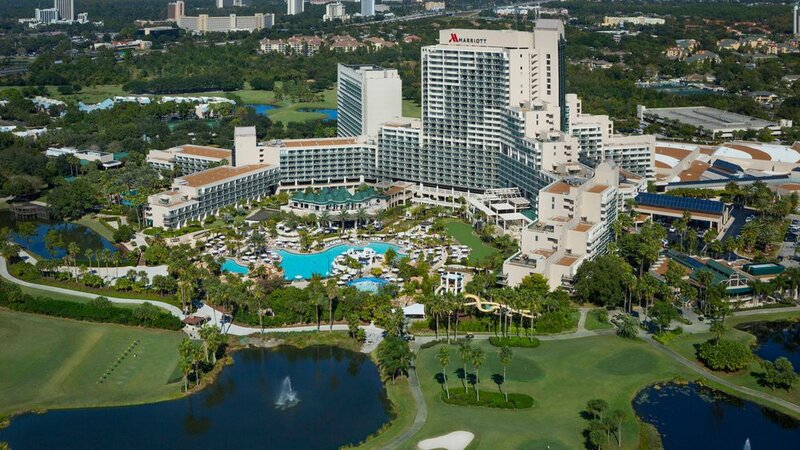 Staying at the Hyatt Regency Grand Cypress is an adventure in itself with so many entertaining activities like rock climbing, golfing on the 45-hole course, playing tennis on the award-winning courts, paddle boating at the resorts private lake or taking a dip in the lagoon-style pool. To create a lasting bond between your student travelers, we suggest encouraging them to participate in one of the many group activities that the hotel has to offer such as supersports/teambuilding, 3-on-3 basketball competitions, nature walks or volleyball and tennis tournaments. Dining options are also available right at the hotel with six restaurants to choose from, including a grab and go market. You wouldn’t even have to leave the hotel to provide your students with a day full of fun. But if you do choose to explore life outside of the 1,500 gated acres, a free shuttle to Disney World, Universal Orlando and SeaWorld is available. The location of the hotel could not be better as it is just a short distance from Orlando’s restaurant row, airport and theme parks. 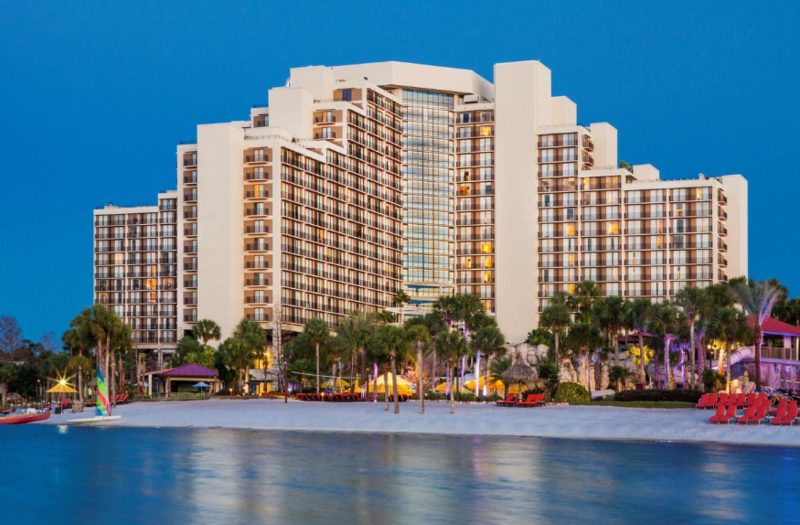 Once your students are done exploring, they can snuggle up in a comfy Hyatt Grand Bed in their spacious room overlooking the pool or Lake Buena Vista. Give your students the royal treatment at the Castle Hotel, Autograph Collection. This beautiful hotel features Bavarian-influenced interior architecture such as crystal chandeliers and wall-mounted trophies in addition to the original artwork on display. Its unique and thoughtful design is what earned Castle Hotel its place in the prestigious Autograph Collection which features handpicked boutique hotels from around the world that showcase extraordinary attention to detail and taste in their design. 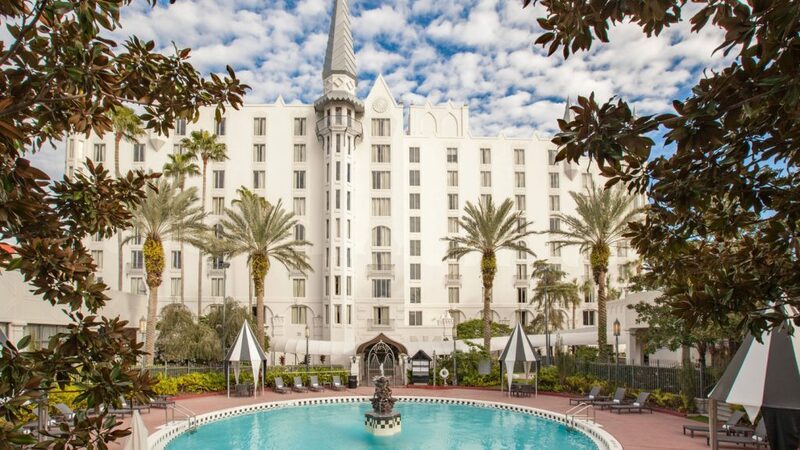 In addition to the ambiance, students will enjoy taking a relaxing swim in the heated courtyard pool or gazing over the rooftop terrace at views of the magical castle of Hogwarts at Universal Orlando. You and your students will be pleased to find that the Universal CityWalk is only minutes away from this charming stay where students can enjoy a number of fun activities from shopping to viewing shows to grabbing a bite to eat. And when students would rather stay in for dinner, the hotel offers three excellent restaurant options to satisfy their hunger. From the blush pink towers to the sparkling waterfall surrounded by palm trees, you won’t be able to miss this eye-catching hotel. 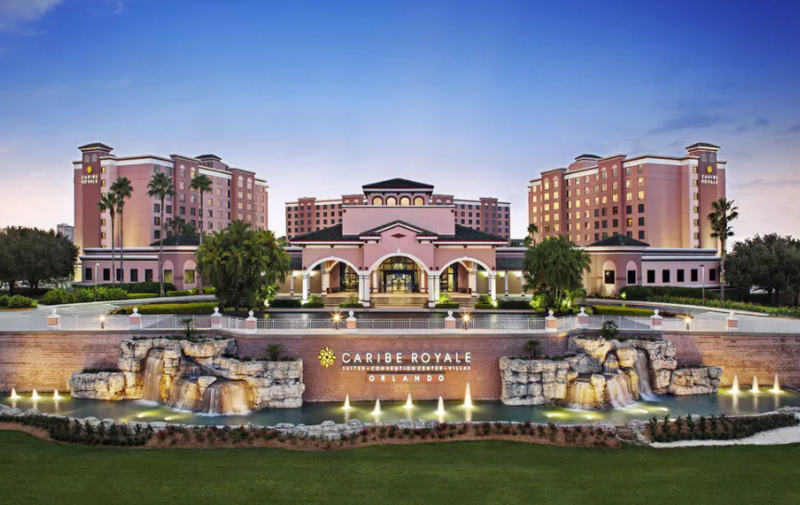 The Caribe Royale is located just 1.5 miles away from Walt Disney World and offers a shuttle service to the theme park as well as to the Orlando Vineland Premium Outlets and Lake Buena Vista Factory Stores. The affordable luxury hotel features a number of accommodations like the resort-style pool with a waterfall and waterslide, two restaurants with an award-winning culinary team and a 24-hour café. To keep students entertained when they aren’t out exploring Orlando, the hotel offers catch and release fishing, bike rentals for the 1.5-mile trail, lighted tennis and basketball courts and games like ping pong, pool and shuffleboard. When the weather is nice, students can enjoy movie nights under the stars by the tropical pool starting at 8:00 p.m. or live music on select nights. After a long day of traveling to Orlando, the last thing your students will want to do is hop on a bus and drive a long distance to their hotel. Located just 1 mile away from Orlando International Airport, Sheraton Suites Orlando is the perfect place for your students to rest up right when they step off the plane. 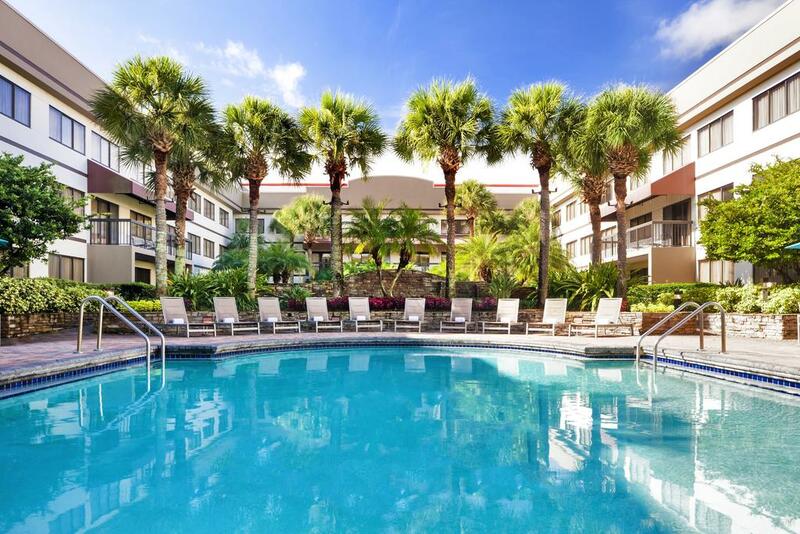 In addition, the hotel offers a 24-hour complimentary shuttle service to and from the Orlando International Airport as well as to any location within 2 miles of the hotel. Students will enjoy the LCD Flat Panel Television in every room, wireless high-speed internet access and both an indoor and outdoor heated pool. If students are hungry after their busy day of traveling, they can enjoy the three dining options Sheraton Suites Orlando offers which includes a 24-hour café and grab and go marketplace so they can get a bite to eat no matter what time they arrive. Your students will never get bored at the Orlando World Center Marriott. The 200-acre, 4-star resort features three outdoor swimming pools with thrilling waterslides and relaxing spa tubes, a large arcade for the gamers of the group, an 18-hole golf course and tennis courts. With 2000 rooms, the hotel will have plenty of space for you and your student group. Each room features a 27-inch flat-screen T.V. with satellite programming, a refrigerator and a pillowtop bed for extra comfort. When students get hungry, they will be well taken care of at one of the 7 hotel restaurants or they can enjoy 24-hour room service. Buffet breakfasts are also available every day from 6:30 a.m. to 11:30 a.m. for a fee. We know staying at a hotel that is close to all of the fun attractions Orlando has to offer is important, which is why we chose the Orlando World Center Marriot which is located just 15 minutes away from Disney Springs and Orlando Vineland Premium Outlets and is only 6.8 miles away from SeaWorld Orlando. The resort even includes a free Disney shuttle for added convenience.